鷲山恭彦.チロル地域文化研究(I):チロル史の断面.東京学芸大学紀要 第３部門 社会科学,vol.53,p.111 -118. (Online),available from〈http://hdl.handle.net/2309/14182〉,(accessed 2007-06-18). 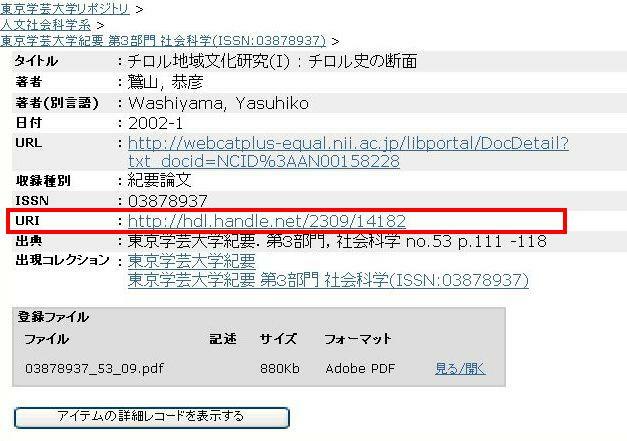 東京学芸大学附属図書館ホームページ　 Copyright (C) 2013 Tokyo Gakugei University Library. All Rights Reserved.